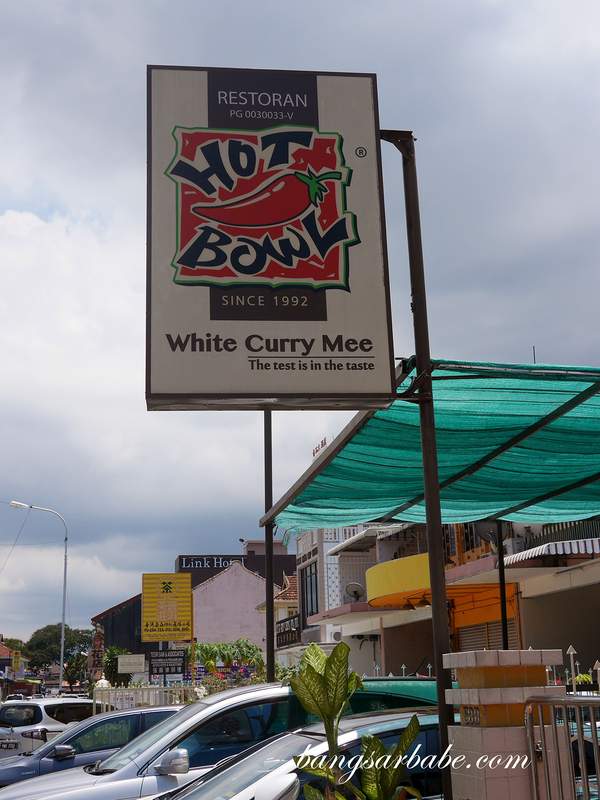 When a good friend posted about her experience at Hot Bowl White Curry Mee in Penang, Jien and I were sold. 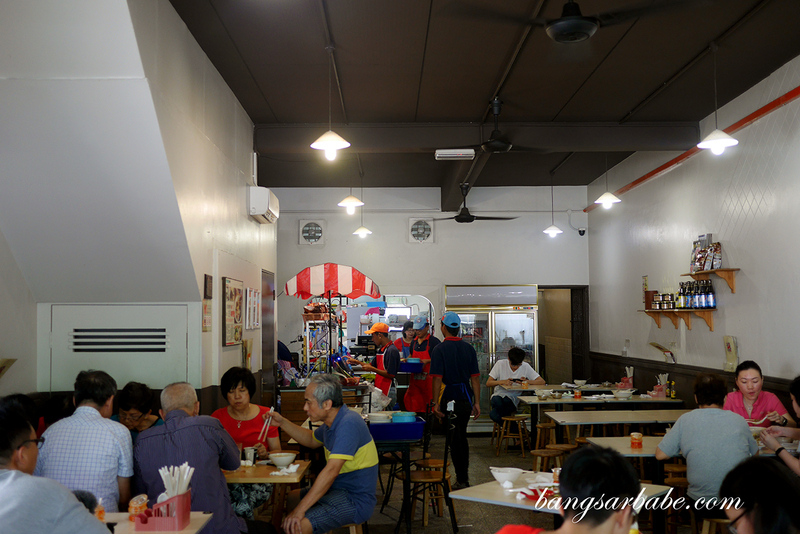 We’ve been looking for a good place to indulge in our curry mee craving as my usual spot in Air Itam has become a tad difficult to access since it’s right smack in the hustle and bustle of the market. 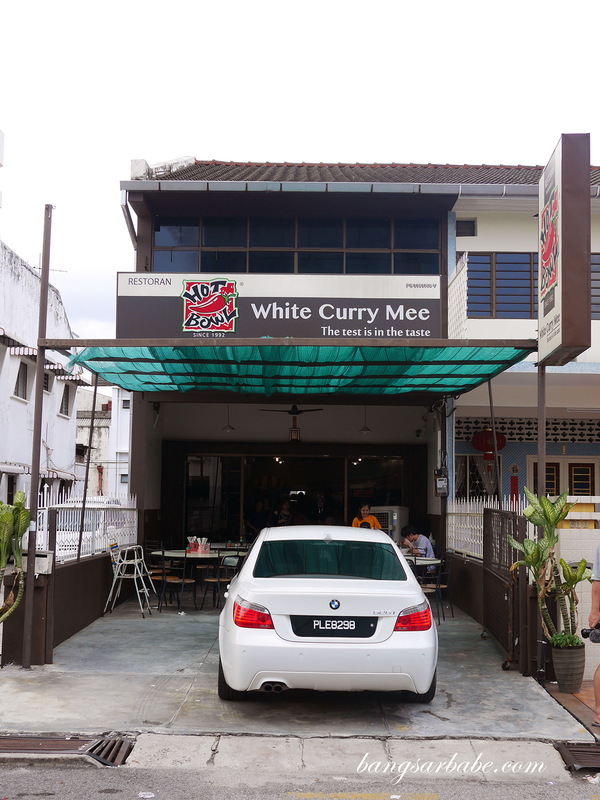 Hot Bowl White Curry Mee is located along Jalan Rangoon, not too far from where we were staying. We opted to walk in for a late lunch to avoid the crowd. You’d be wise to order everything at once because one the waiter turns his back to head to the kitchen, service becomes non-existent (quite terrible actually). 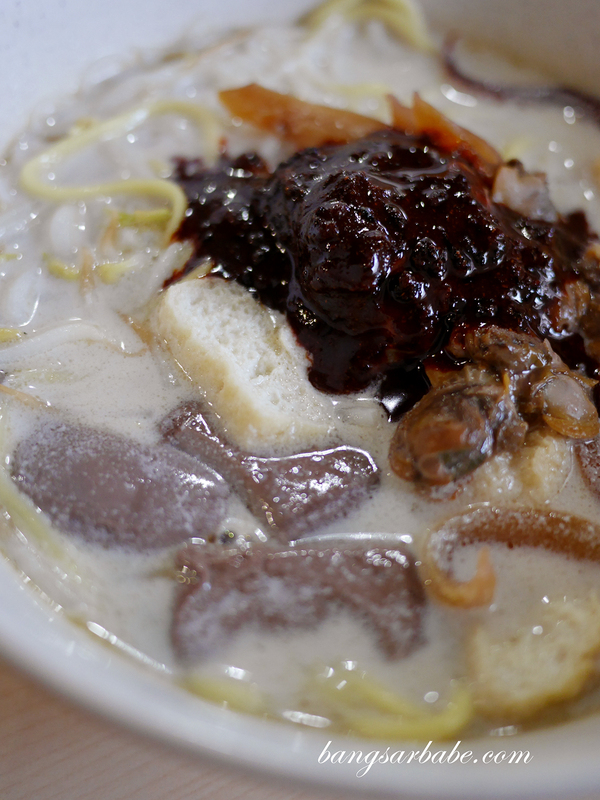 Curry mee is a must order here (they didn’t call it Hot Bowl White Curry Mee for nothing) and it comes with tofu puffs, prawns, cuttlefish, cockles and coagulated pig’s blood. 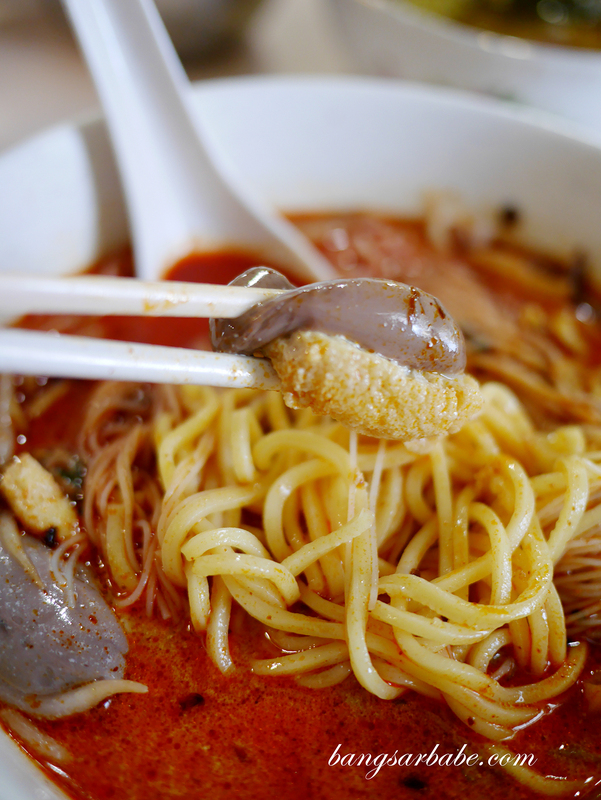 What differentiates Penang curry mee from the other curry laksas around is the pig’s blood, which is said to add flavour to the broth. 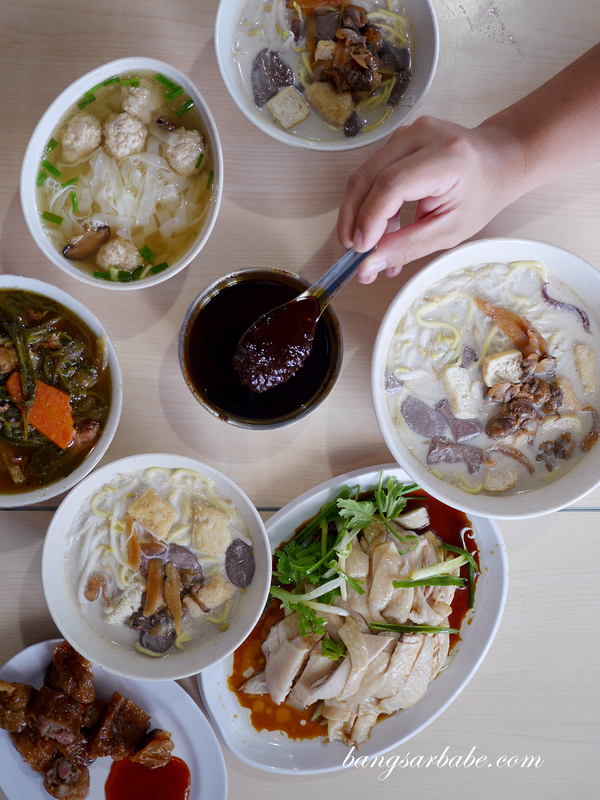 It typically comes with a mixture of yellow noodles and vermicelli, and you can opt for either small (RM5.30) or large (RM6.40). 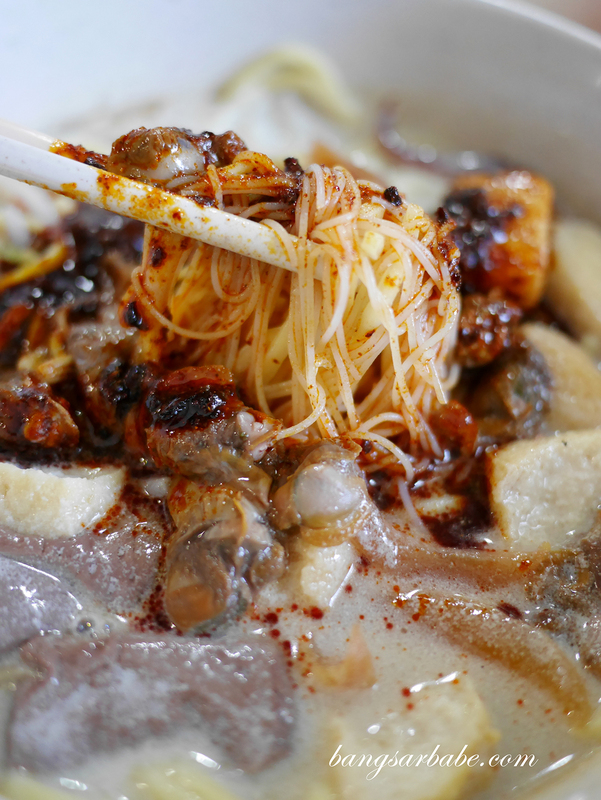 While other places serve Penang curry mee with a spoonful of chilli paste, Hot Bowl allows you to decide on how spicy you want your noodles to be. A container of chilli paste is placed on each table for you to add oomph and thicken the coconut based broth. Be careful not to overload your bowl with the chilli paste, for the spiciness can be quite lethal. I’d say go for small doses rather than a huge dollop because “adding is better than subtracting”. 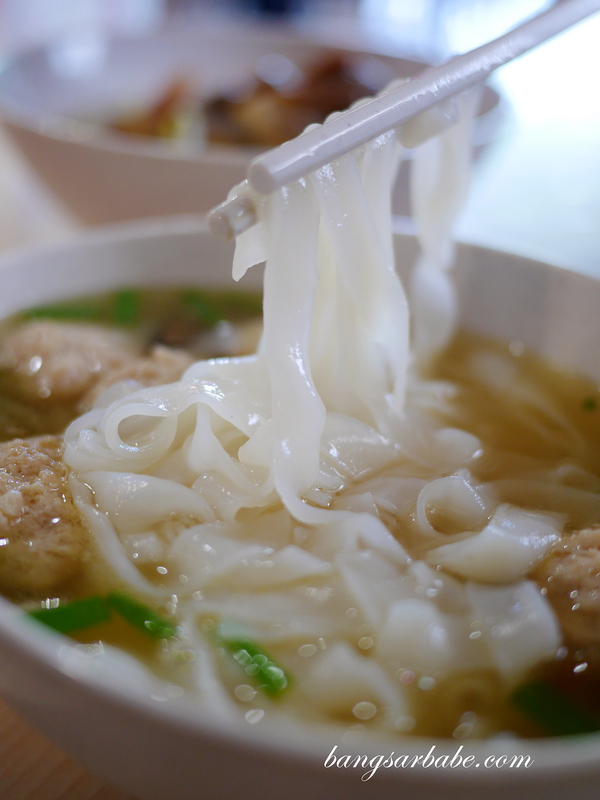 The only way to subtract is to ask the staff for more soup, and as I mentioned earlier, it’s hard to call for service once you place your first order. 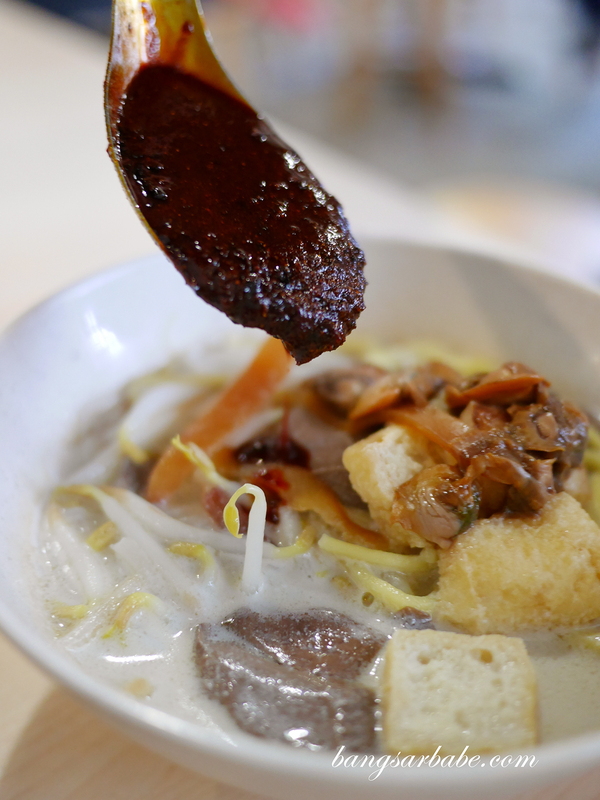 The curry mee is good stuff – Jien and I feel there’s more flavour to this broth compared to the curry mee in Air Itam. I also liked how aromatic the chilli paste is from the addition of dried shrimp and shallots. The blood cubes were justly cooked so texture was soft, almost gelatinous. Our friend Dennis really enjoyed this as he is a big fan of coagulated blood cubes. Apart from curry mee, Hot Bowl serves pretty good steamed chicken; deboned for easy consumption. 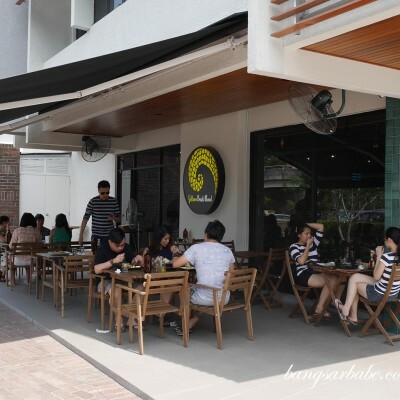 A half portion costs RM20.20, and it comes topped with soy sauce, sesame oil and scallions. 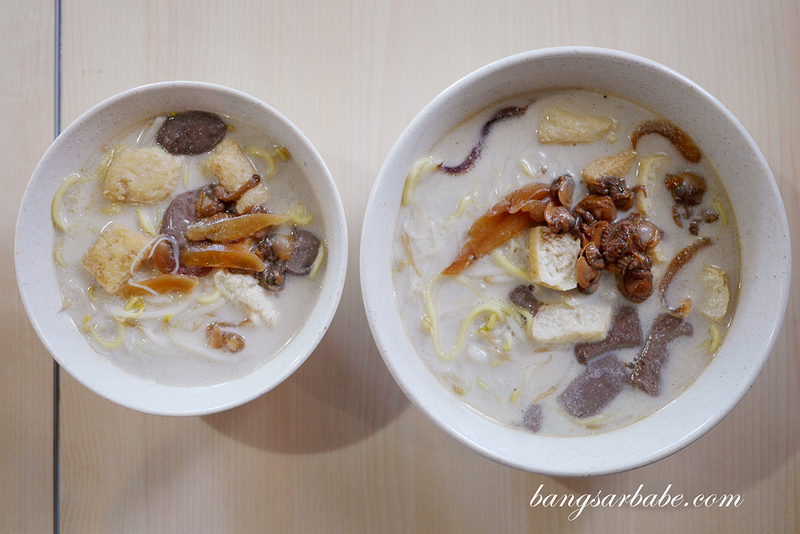 Smooth, tender and delicious when eaten on its own or with a bowl of hor fun (RM5.30). 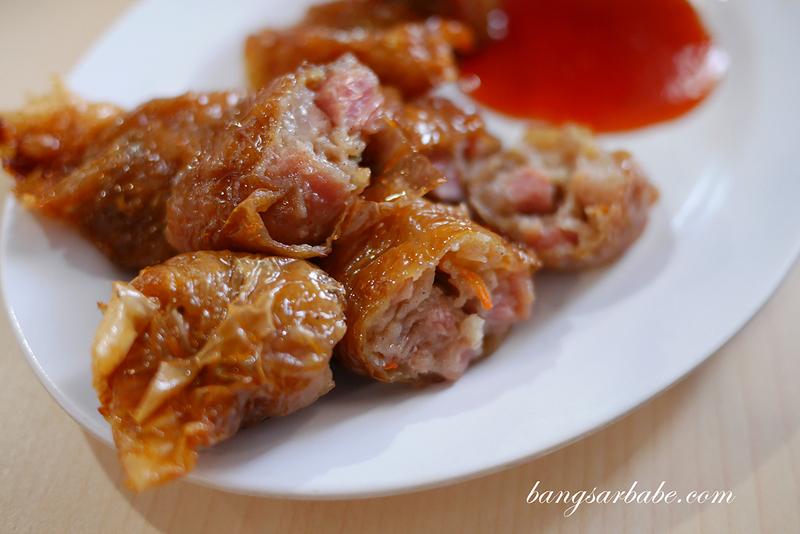 We also shared a portion of spiced loh bak (RM4.30) – decent but nothing to shout about. 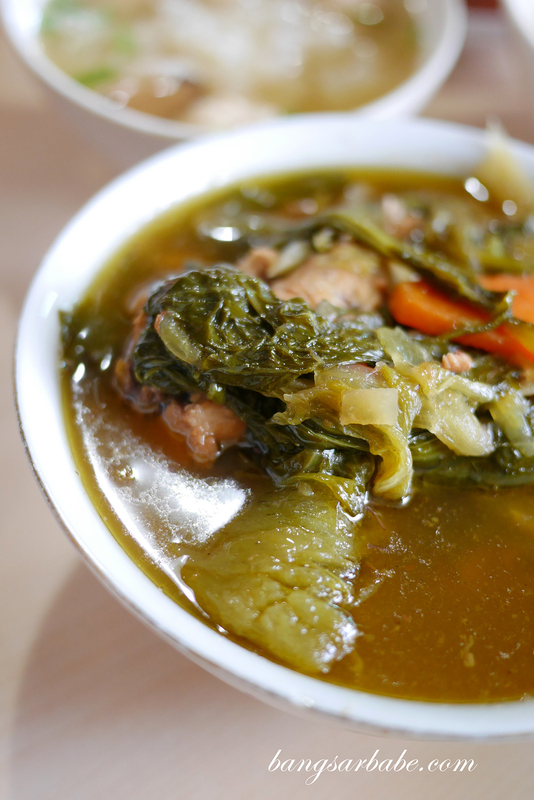 Chai Boey (RM5.30) is also available here, a tummy-warming stew of mustard leaves, asam keping, dried chilli and leftover meats. This could have been tangier and I thought it lacked a bit of kick. 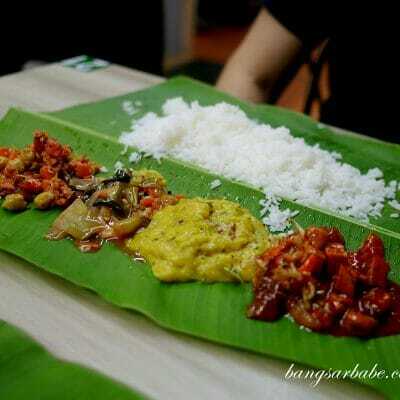 Our meal came up to RM55 for all the above; reasonable considering the amount we ordered. 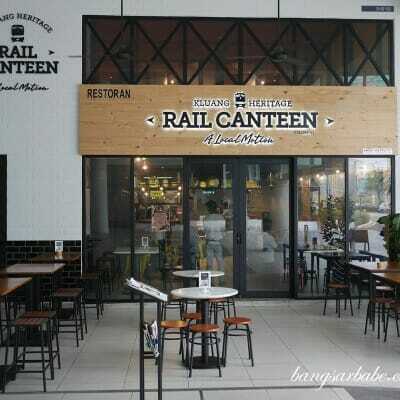 While I found the service crew a bit of a pain, the food is good and worth checking out. That is, if you’re willing to turn a blind eye on the level of service they provide. 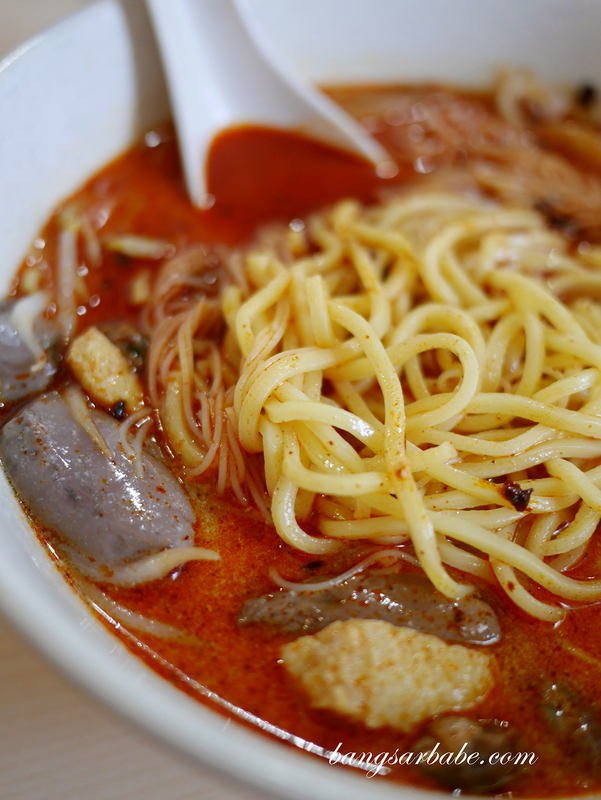 Verdict: If you want good Penang curry mee, this is a place to check out.